The Property Planning process connects the property decisions throughout your lifetime, to your lifestyle and financial goals. It’s the blueprint for your next property decision through to your last and is supported by mortgage, money and risk management strategies to provide clarity on your pathway forward. The team at Property Planning Australia assists time poor professionals – from first time buyers, upgraders, investors, right through to downsizers. The single focus is to empower and educate our clients to create their ideal lifestyle. Property Planning Australia has won multiple awards since its inception and has an absolute focus on providing outstanding service which is reflected in the outstanding Net Promoter Score which is produced solely on the likelihood to refer family or friends. Ask yourself, do you have a Property Plan? My company is Property Planning Australia and I am the managing director. I started the business 13 years ago. My background was in finance and in trying to help people make better financial decisions for themselves. Along that path, I discovered that most people actually wanted to make better property decisions. It was the most important decision in people’s lives and it was where they were spending the most amount of money. They were asking me how to make better property decisions and I didn’t know how to assist them. That led me down a path to try to understand what drives property values and how can I help my clients make better property decisions. I was in my late twenties and decided to start Property Planning Australia. I started it with a buyer’s agent and we were one of the first businesses to combine buyer’s advocacy with financial advice back in 2004 - when most people didn’t know what a buyer’s advocate was. Back then, there were 3 buyer’s agents in Melbourne and now there are 103. So, we brought independent property advice together with mortgage strategy and finance advice. Through that journey, we were obviously helping people make better property and finance decisions but, as the name would suggest, I didn’t feel there was enough planning involved. There was too much decision making based around the now – not factoring in the mid and the long term. I had a friend who I used to work with in a previous financial advice business who’d gone out on his own as a financial planner and, after several years, we essentially bought that business and merged it in and brought in financial planning. That made life pretty interesting – trying to mesh together 3 different business units and specialities and produce something that would help people make better financial and property decisions. Through that journey, I learned about financial planning. I learned about the property market. I learned about what drives property values. I learned about – perhaps the biggest element – what people deem important to them to make better property decisions. Then about 7 or 8 years into the business, we closed the buyer’s agency component of the business and, ultimately, I sold out of the financial planning business and just focused in on what we do today. That is writing property plans for people, mortgage strategy and money management. Really narrowing in on what was the original focus of the business – to help people do what we call property planning because I’m certain that most Australians want to plan out their property decisions and they’d like to plan them out better. That’s really been the journey to where we are now. We’re interacting with everyone from first-time buyers (we say ‘first-time buyers’ because often they are buying an investment property first rather than a home – particularly in Melbourne and Sydney where prices have obviously grown significantly) to upgraders, to investors, to even downsizers, and people getting closer to the transition to retirement wanting to make sure they get there last one or two property decisions right. So, we’re working with everyone. Our target market are time-poor professionals who want a low-risk approach to property investment. I noticed your target market for your podcasts is that sort of market and it’s pretty consistent with the type of people we’re assisting. There is a level of depth and sophistication we go into and we want to work with people who do want to take a bit of extra time to make sure they are getting their decisions right. We focus equally on what we call the investment pathway as well as the lifestyle pathway. When we are producing a property plan for someone, we have a large list of questions which have been tailored over 13 years - from learning and listening to people and having those heartfelt conversations about what they want out of a home and what things are important to them. The reality is, for most people, the family home is the priority. A lot of the property ‘speak’ and media and spruikers focus on investment, but the largest investment most people make in their life is their home. We really hone in on that, so a property plan really is driven by someone’s lifestyle goals and financial goals in combination. That’s really where it starts and that’s where we start. We help them actually ask questions to get them to really deeply think through what are their lifetime and financial goals. Not just now and for the next 5 years, but all the way through to retirement or the ‘flexibility stage of life’ as we call it. I guess that’s our main sticking point for people that have already bought property. It’s different for first-time buyers and it’s different for people who perhaps already have that long-term home. But, that’s the most common one. Most of our clients, I would say, are in their 30’s to late 40’s bracket and that’s often the big issue for them. For those that haven’t bought in yet, we do have to paint a picture for them about what they might be able to afford but, one of the many sayings we love is that property is a ‘get rich slow’ scheme. I think that helps put a bit of perspective and patience into the decision-making process. That’s not to say that you can’t make money quickly though property, but, it takes higher risk and we are not experts in development. From our vast experience, most small-time developers don’t actually make money through the development. If they make money, it’s through the capital growth of the land appreciation during the period they owned the property. We will often be educating people to understand the true cost because there are a lot of costs that people don’t consider when they are trying to make money fast through property. I can go on for a multitude of podcasts about all the potential risks and mistakes people make. But, for first home buyers, again it is getting to their list of what is their long-term picture – bringing out the long-term view. Then, with that long-term view, how do you get to where you want to go, from a property and from a financial and lifestyle perspective? Then we can put in the next decision and the decision after that and map out a pathway. Most people are realistic, but it’s about helping them understand that life, in most aspects, is about stepping stones. Another saying that we use is that we want to help you reach your lifestyle and financial goals making as few property decisions as possible. There are the 7 keys to property success, and one of them is holding quality property. Ideally, you only buy quality property and you only sell to improve your lifestyle because property is an investment in improving your lifestyle. Whether that’s the property you live in (and property is unique in that it is the only investment class that we live in, so that adds this whole other layer of emotion around it that no other investment class has) but, even if you’re investing in property, ultimately it to earn an income to enhance your lifestyle. To consider selling it should be, ideally, to improve your home or, if you have a real dud of a property, the sooner you get out, the better. There are a lot of write-ups around capital growth versus income, but a lot depends on the individual’s goals, their financial circumstances and what they are trying to achieve. Different types of properties are more likely to provide a return in a different way. Whether that’s more weighted towards capital growth or more weighted towards cashflow or perhaps having an even balance between the two. From a cashflow perspective, the reality is that commercial property tends to provide the greatest return, but it is not affordable for most people if you want to buy one outright. But, history suggests – going back as far as there are reasonable statistics, say 40-50 years or more – that, if you’ve selected well, capital growth is able to make you more money over the period of time. Sometimes, I try to break down property to, “Forget about the property and just think of it as an asset that is nondescript. It has a dollar value and it has a cashflow from it and the bigger dollar value is the value of the property.” So, let’s say you bought a property for $600,000 and your rental return is $24,000 per annum, if you can compound/grow the $600,000, it has the greater potential to create more wealth for you. So, from a numbers or mathematical perspective, that’s how you can map out that the dollar return you can get is much stronger. Let’s say you are clear on your goals, both lifestyle and financial, and you’ve determined what you’re comfortable to invest in a property from your cashflow perspective right now. I’m a believer in putting your best foot forward on the property you buy. So, buying the best quality property now, not putting it off. Say, in Melbourne, where the greatest demand is is where you should be buying. That’s pretty obvious when you say it like that so, where I would say the bell curve is in Melbourne at the moment would be somewhere in the $450 – 500,000 to say around the $1m price bracket. If your affordability range sits in there, then I would say buy one good quality property in that price point. If you are in the accumulation phase of wealth creation – say up until around 10–12 years prior to retirement or in transition. With the way the workforce is evolving now, fewer people are going from 5 days to 0, they are scaling back to 2-3 days, so, you still have reasonable cash flow. So, if you can, get something that is within that price range if you can afford to, tilted towards a capital growth focus. Putting your best foot forward, with a long-term view - that is something that I would suggest, subject to your personal situation. The first book, ‘Property for Life: Using Property to Plan Your Financial Future’, we wrote in 2008. We wanted it to be a bit unique and a story of a life journey to try to relate it back to people, irrespective of which stage of life they are at, so we chose ‘Jim’ and ‘Jane’. They met, and one of them owned a property before they met, and they then had the life decisions (as we all do when developing our own property plan). They had well-meaning family and friends, so we threw in family members of our own’s names in there, and friends who provided sometimes good advice and sometimes poor advice. We just tried to cover the considerations that we need to think through along the way. The idea to make it the journey of people came from the book, ‘The E-myth Revisited’, by Michael Gerber, and it’s like reading that book. That was about a woman running a bakery and he related the story back to her and how he (Gerber) helped her build a great business in the process. So, that’s where the idea came from. We felt that resonated with what we stood for and what we’re about. Recently, I’ve written an ebook that essentially covers the 7 critical mistakes that most people make – or most people make some of them, including myself - throughout the property journey. And just talking though the steps to take towards developing a plan for yourself. 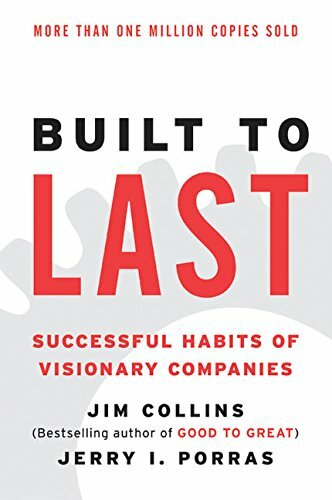 One is, ‘Built to Last’ by Jim Collins, which I love. I read that in the early days when I started Property Planning Australia. He also wrote, ‘Good to Great’, and most business people know of those books. I’ve read quite a few books since then, so I had a look on my bookshelf to see what else jumped out at me. There were three books that I really loved reading in the last couple of years that weren’t business related (just to be a little bit different). 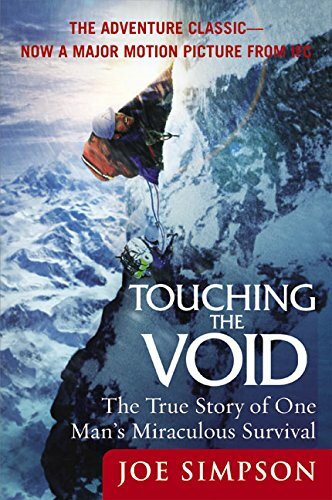 They were, ‘Touching the Void’, which is the story of the two guys who climbed up one of the mountains (I think) in the Himalayas the first time it had been done. One of them had to cut the rope of the other guy and then he fell down a crevice and had a broken leg and he had to make decisions. One of the lines that I’ll always remember from that was, he knew if he didn’t keep making decisions, he was definitely going to die. I think that’s a bit of a metaphor at times in life – you’ve got to keep making decisions to move forward and make the best of the decisions you make. It was an amazing story of resilience. He was hallucinating, and it took him 4 days, or maybe longer, to get out of the crevice and he was crawling all over these rocks. He nearly died so many times, but he always found something extra in reserves that he did not realise he had. They were about to pack up the camp and leave him for dead and the next morning he crawled in there. I’m not a mountain-climber and it’s too risky for me – it’s not in my plans. I’ll climb one, but not up the side of a mountain, one I can walk up. He is a great storyteller and I just loved the book. It was pretty inspiring. 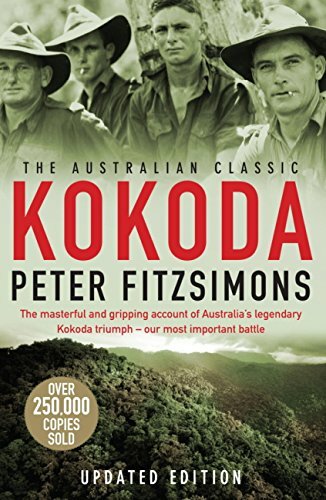 ‘Kokoda’, by Peter FitzSimons, is a fantastic story. It gave me deeper insight into what the Australian Army did to protect our country. I didn’t have anywhere near that level of understanding of how far they were outnumbered and how close they were to being beaten and overcome. That was an awesome read that I’d recommend to all Australians. 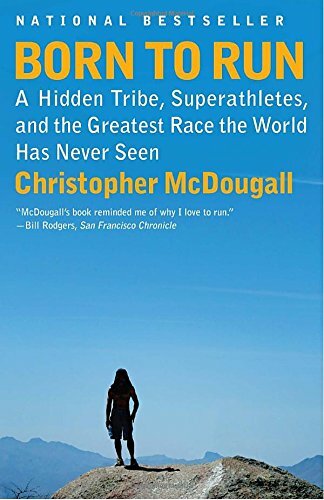 Another one is, ‘Born to Run’, by Christopher McDougall. It’s got a bit of a cult following by runners and is a really interesting story. There is a tribe in Mexico called the Tarahumara, I think, and they live down the bottom of these mountain ranges. It’s still very primitive and relatively untouched and they run 40 kilometres at a time, naturally. That’s what they do, and they are really fit and healthy. It’s a great story, which I won’t try and retell because I won’t do it justice. Naturally, my passion has been since starting the business, property planning. It’s been a real journey to get to where we are now. It still feels like early days now, to be honest, 13 years in and having a reasonable business. We are just focussing on being the best at writing property plans for people to help them map out their lifetime’s property decisions, and within that is money management and mortgage strategy and it’s all interconnected. That’s what we specialise in. There’s not really anyone else doing just that so, we really pride ourselves on being completely independent from buying or selling property. So, that’s the absolute focus. Unfortunately, there are some other businesses in the industry giving this area a bad rap, so people are being a bit cautious. But, people should be cautious. Property is the biggest spend we have in our lives. Mortgage is the most expensive cost in our lives and our money is what we try and manage to help deliver our lifestyle so, caution is a good thing - as long as it doesn’t stop you making decisions. Going back to what I said about trying to help people make as few property decisions in their lifetime to achieve their goals – the message under that is we believe that, for most people, they only need to make 2-5 properties to transition to retirement. To put themselves in a strong position, and comparative to the rest of society really, unfortunately. I think the stat is that 11 out of 12 people will retire owning one property or zero properties. So, some people might own one home worth $5m and one investment property worth $1m. If they are happy to downsize, then then can transition a significant amount of wealth to help fund retirement and the family home is capital gains tax free. I think the family home is disregarded by a lot of ‘supposed’ property investment discussions and a lot of the people who make the noise in regard to property are selling property, so, they have a vested interest. They need to make money and that’s what they do for a living. But, often it’s selling lifestyle but selling investment properties. Selling the idea of the lifestyle of the investment property. The family home can be an avenue towards a successful retirement/flexibility stage of life. That’s why we say 2-5 properties when trying to make as few property decisions because one of the 7 big property mistakes is selling property you didn’t need to sell. In my early days, I sold 2 properties in the inner-eastern suburbs of Melbourne - the first 2 properties I purchased - and, as of today that has probably cost me $1m and counting. When we talk to our parents who bought their homes 2 or 3 generations back and it was a family home for $40,000 and we wonder why they didn’t buy 10. That’s the power of numbers. It’s really hard for us to fathom what property values will be like in 10-20 years and that’s where, if you go to a capital growth calculator on the internet and key in the value of your home – just add 4 or 5% growth and look at what it will be worth in 20 years’ time. That will probably help you think more about the benefits of buying and holding good quality property. The other thing we try and help people understand is, 1% of capital growth difference (so 6% versus 5% growth) over 20 or 30 years can mean $1m difference in retirement. The numbers get really big and then they get bigger. So, the growth from year 10 to 20, the differential or the opportunity cost, could be double what it was in the first 10 years because the numbers compound even though it is growing at the same rate. What we try and do is understand numbers and then overlay that back into property decisions in a simple way. I’ve had about 5 quotes up on my wall in front of my desk since I started the business, and the one that probably resonates most with me is, “Imagination is more important than knowledge”, from Albert Einstein. I just love the idea of imagination and what that brings to your life. I see imagination as the opportunity to think of things differently, improve, grow, develop, and have a bit of fun as well. I just found that interesting because, prior to reading that quote, I didn’t connect the importance of imagination (and it’s linked to creativity as well) to problem-solving, etc. I’m not good at remembering in words, but another quote was along the lines of, “For every hundred men who aren’t willing to take a risk, one man is willing to risk his fortune to achieve something great”. It’s a bit sexist, but it’s an old quote. It sticks with me because you need to take calculated risks to achieve greatness, but it also says that if you take those risks in that space, there is less competition because there are not as many people doing it. When I was thinking about habits, the word that popped in for me was determination. I don’t know if that’s a habit or a trait. It’s not giving up. It’s persevering. Persisting. I don’t know if I’ll put it down to one habit, but I think it’s important to try and maintain a healthy lifestyle that feeds the health of your mind, which is really important to everybody. Maybe it is a set habit. To do anything well, you have to keep putting in every day. I think you replicate it by practicing. A little discipline. For me, it probably comes from my parents, my dad slightly more so. Once you start something, you stick to it and see it through. I played a lot of sport, so Dad said if you commit to a sporting team, you can’t miss a training session. Probably a lot of my habits came from sport. I wouldn’t put it down to one piece of advice that stands out. To me, it’s been lots of advice from trying to surround myself with people who I thought I could learn from. I grew up in the country and then moving to Melbourne, I had to start again at university but, trying to discover my path through Melbourne and meeting people who you could learn from. So, that’s probably what I’ve tried, and still try, to do. There was a number of people I deliberately tried to seek out to improve myself by learning from them. Anyone who is thinking about making a future property decision can benefit from contacting us. Our website is propertyplanning.com.au and that is the best place to start. From there, we sit down with people and have a complimentary property planning meeting to discuss their goals and current situation and overlay how we might be able to assist them and then they make the decision whether to work with us or not.